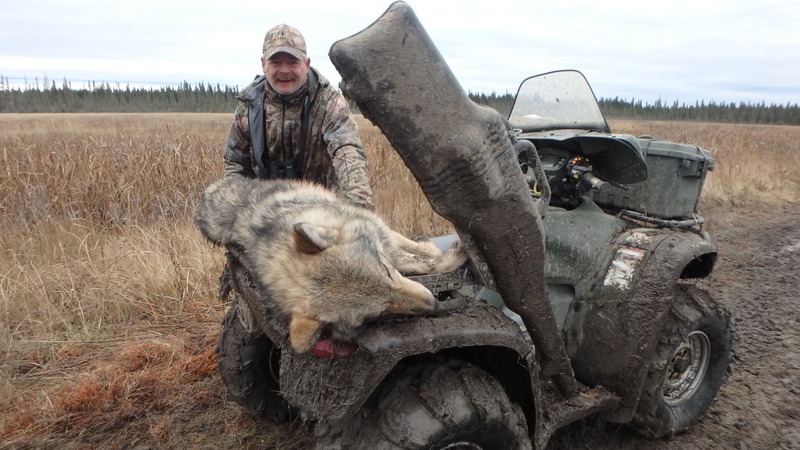 Timber wolf is the ultimate predator hunt. 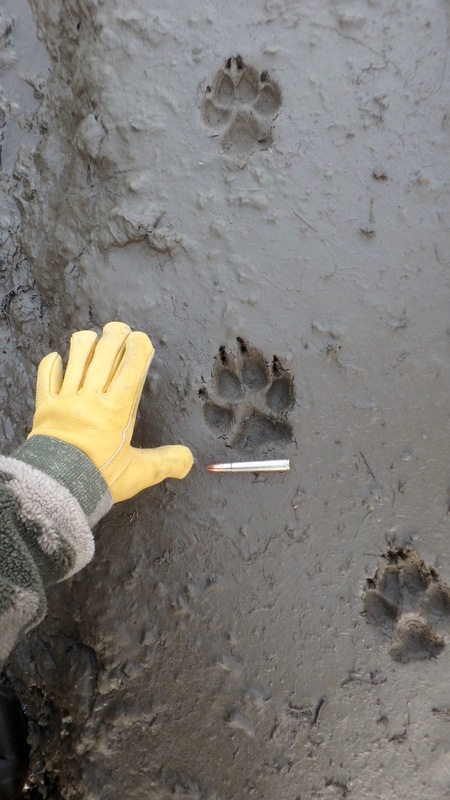 For our timber wolf hunts we use bait piles, spot and stalk, and calling. At this time of the year there will be snow so we will travel by truck, snowmobile, or quads while hunting. 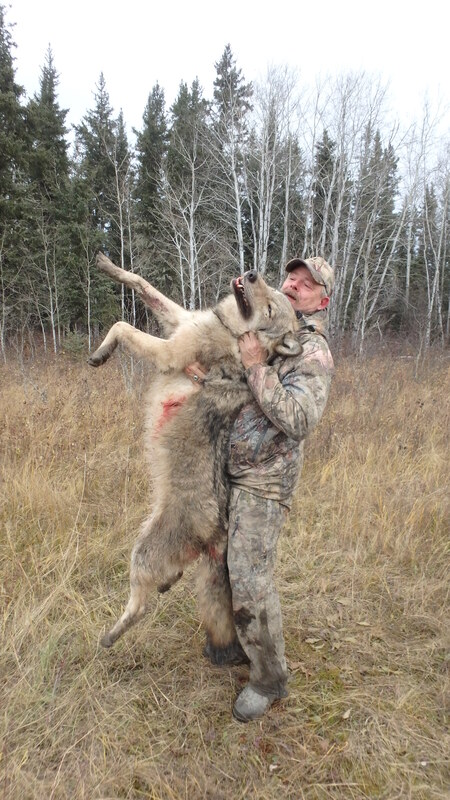 Alberta timber wolf hunts can be very exciting with an excellent opportunity to take more than one wolf. The timber wolf color variance is great from salt and pepper to white and jet black. 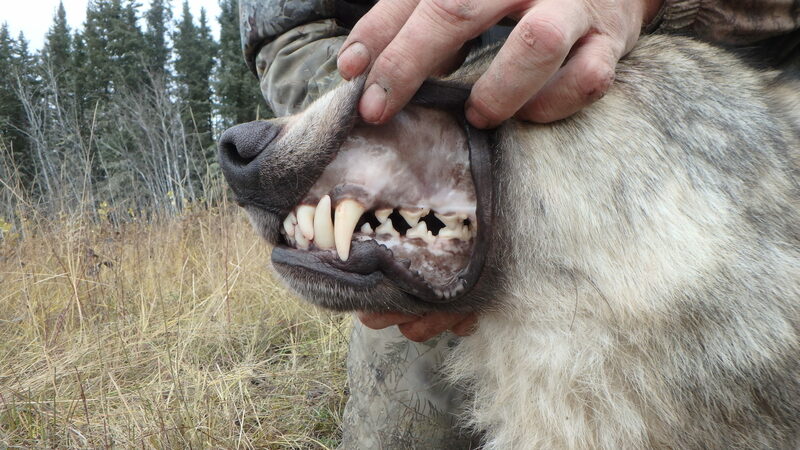 Mature wolves from this area have skulls that can measure in the 17 to 18″ range and can weigh well over 100 lbs. Timber Wolf is an ultimate predator trophy. Imagine calling in a coyote from up to a mile out, watching him until he is within 50 yards or less, hair bristling, looking for supper. It’s a rush! The hides are thick and the fur is in perfect prime condition. 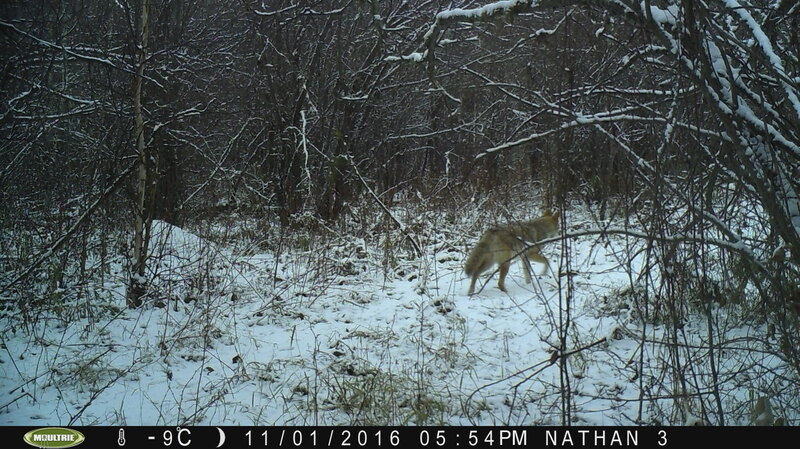 The color this time of year is usually a light silver or pale beige color, and they are the largest coyotes in Canada. Take advantage of our coyote hunting expertise. Our guides have several years of calling under their belts, and they’re prepared to bring the coyotes right into you. Whether it’s fall or winter, we have techniques designed for the conditions. Currently in Alberta, there is no limit for wolves and coyotes. Our season runs from November 1st to March 30th. Book a party of two and EACH save $1000.00 USD! Non-hunters are welcome at a daily charge of $200.00 USD per person. Shipping, crating, and handling of trophy. There is a lot of “behind the scenes” activity and a number of hard-working people doing everything possible to make sure your trip meets your expectations. Should you wish to provide a tip, please give it to your hosts so it can be shared among everyone involved. We’re up before daybreak to give us more hunting time. You’ll have a nice continental breakfast before we leave. It’s going to be a long day with lots of travel, so we’ll stop to eat a bag lunch, drinks and snacks. For baited hunts we use blinds and heaters. When we return from the hunt, you can wash up and relax while your home-cooked meal is prepared. It’s a great opportunity to share your hunting stories or talk about the day. We are happy to accommodate allergies and sensitivities wherever possible. You will be in our Lodge, which offers twin beds, kitchen facilities, full showers, and a sitting area with television and internet. Remember it is always best to dress in layers. This allows you to remove or add clothing when needed. The overall weather and temperatures in the far north can change drastically through-out the day.